Since late 2004, I've been known as The Osaka Koneko, a name bestowed upon me by my good friend Kimberly who thought it would make a great super-criminal name. It means "The Osaka Kitty" in a hodgepodge of English and Japanese. I had just moved to Osaka, Japan, where I lived from August 2004 until May 2008. I loved the name and used it as my online persona everywhere. When I was brainstorming brand names, I thought about many ideas, both English, Japanese, and other hodgepodge mixes, ranging from sweet to sincere and even to downright silly. 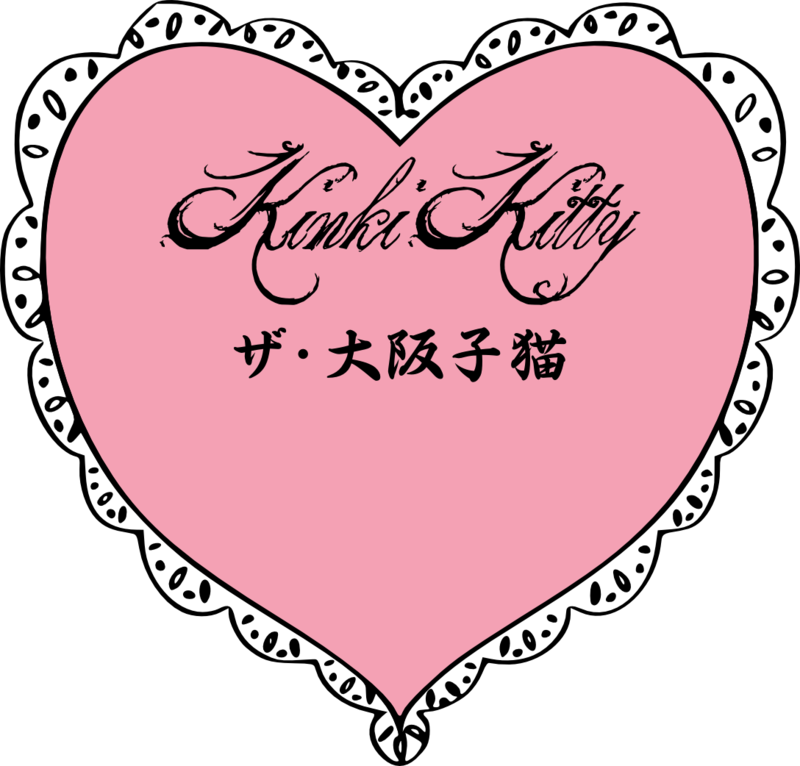 I finally came upon Kinki Kitty, which is actually just a pseudo-translation of my beloved username - Koneko, of course, meaning Kitty, and Osaka being located in the geographic are of Japan known as the "Kinki" (or Kansai) region. Hence the name "Kinki Kitty", which just means "The Osaka Koneko", was born! "Frill Heart" Logo © The Osaka Koneko, designed with help from Denise Boerre and Kimberly Jacob. Original Gloomy animated gif © Mori Chack, customized by yours truly.